I love MooShu, it’s one of the prettiest worlds in all the Spiral. And of course you’ll find another Zeke Quests to keep you busy exploring the many areas of this world. When you first arrive in MooShu you’ll be sent straight to this world’s main city, Hamamitsu. Once you dock, leave your ship and head through the city gate. On the far side of the island, you’ll see a large gazebo beyond the garden dragon. Standing outside the building, you’ll find Zeke. He has another quest for you to find some missing items. This entry was posted on March 18, 2018, in Prospector Zeke and tagged game guides, game hints, games, Kid friendly, kid safe, knives, locations, Mooshu, online, Pirate101, Pirates, quests, shonen, Skyways, Spiral, Zeke. The 2nd Annual 12 Days comes to an end and we hope you were able to take advantage of some of the deals from the Royals at KingsIsle. There were free gifts, free gold, special deals and new pets, companions and Pirate Housing to take advantage of and move into. Captain Scarlet Hawkins was hoping to find a Candy Cane Dragon in her stocking and sure enough, a package came early and she couldn’t wait to open it! Inside she found the cutest little dragon as Baby Snoopie sprang out and gave her a kiss. She wasn’t the only one who picked up some great new items though. Captain Victoria Hobbes picked up a new shipmate to celebrate with her crew. 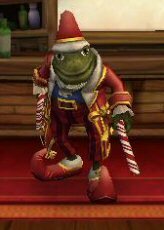 Meet Weepy Ted, a Mistle Toad, all decked out for the Holidays and ready to put his candy cane shooters to good use against the evil Armada. Both of our Captains can’t wait to get out into the Spiral and try out their new friends in battle, to defeat Deacon and his evil attempts to conquer the Spiral! If you weren’t able to take advantage of the deals and specials, don’t give up.. there’s more celebration to come!! Now that the 12 Days of the Spiral is over, get ready for a big Winter Holiday Contest from A Pirate’s Portal! You could win your own Holiday pet, companion and crowns! Our Holiday Celebration contest starts tomorrow, so stay tuned!! This entry was posted on December 19, 2013, in News and tagged 12 days, christmas, free, games, gift, holiday, Kid friendly, kid safe, news, newsletter, online, Pirate101, Pirates, Spiral, winter, yule. You’ve been asking… and this year for the holidays we have a gift your Pirate is sure to love – FREE Crowns! Use the promo code CROWNSPLZ to get your Crowns. Each account will get a surprise Crowns amount ranging from 250 to 60,000 Crowns! This code is only good for 24 hours only and expires at 9:00am US Central Time on Thursday, December 19th 2013. Hurry and get your FREE Crowns now! In order to be eligible for FREE Crowns giveaway, your account must have been created prior to 8:59am on December 18th, 2013. No new accounts created after this time will qualify for the FREE Crowns giveaway. Keep in mind, there is only one redemption per account and these Crowns are non-transferable. This entry was posted on December 18, 2013, in News and tagged 12 days, christmas, free, games, gift, holiday, Kid friendly, kid safe, news, newsletter, online, Pirate101, Pirates, Spiral, winter, yule. 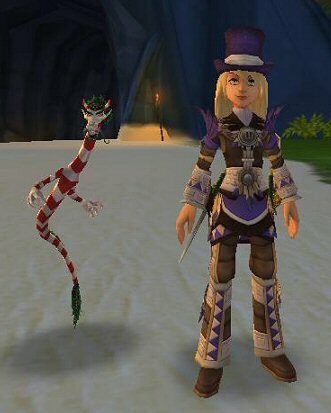 New Holiday Companions for Pirate101! Today’s 12 Day’s of the Spiral Celebration brings new companions in the Crown Shop! Two new cheery holiday Companions have arrived in the Spiral – Prince Yulefest and the Mistle Toad! Don’t neglect to add these festive Companions to your holiday crew… because they won’t be available for long! Check them out in the Crown Shop today! Tomorrow is the last day for the 12 Days celebration. Make sure you check out the available specials, and free gifts before they’re gone! This entry was posted on December 17, 2013, in News and tagged 12 days, christmas, free, games, gift, holiday, Kid friendly, kid safe, news, newsletter, online, Pirate101, Pirates, Spiral, winter, yule. Today we’re giving everyone a special coupon code, SURPRISEME, which is good for 10% to 50% OFF your entire cart purchase before tax! 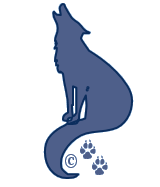 This special promotion ends December 27th 2013 at 11:59pm US Central Time – so make sure you use your Mystery Coupon before then! To get your Mystery Discount; login to your account, add items to your Pirate101 cart and enter the code ‘surpriseme’ in the coupon code field to see how much you can save! Please note – this code will not work at pirate101.com/promo. It must be used in the coupon code field in the Pirate101.com shopping cart. This entry was posted on December 16, 2013, in News and tagged 12 days, christmas, games, holiday, Kid friendly, kid safe, news, newsletter, online, Pirate101, Pirates, Spiral, winter, yule. Save 50% OFF Pirate Class Houses! For one day only, save 50% OFF the Crowns prices on Pirate101 Class Housing! Your Pirate can have a palace fit for a king scoundrel with this great deal. Hurry, this sale ends tonight December 15th at 11:59pm US Central Time! Take advantage of 50% OFF these items today! What will your Pirate pick up from the crown shop? Find out now at 12 Days Of The Spiral! This entry was posted on December 15, 2013, in News and tagged 12 days, christmas, free, games, gift, holiday, Kid friendly, kid safe, news, newsletter, online, Pirate101, Pirates, Spiral, winter, yule.